I will be on vacation until March 14 2019. Delivery of this item may be delayed until March 14th. Learn Handbells from scratch or become a Better Ringer. Printed and bound version mailed to you. This is the completely revised "Handbell Ringers Bible". I listened to all your comments and have made this even more comprehensive and easier to learn format. Everything you need to learn to play handbells or teach handbells to a class with no prior experience. It covers handbells from A-Z. All the techniques, hints and tricks. How to read music with no prior knowledge of music. It can also be used for hand chimes and melody chimes etc. Please specify when you pay if you would prefer the Spiral comb bound version that opens flat on a music stand or Standard Book Bound. No scales to learn. No theory to memorize. Get started today. You get it all for one low price. Never before has so much information been put together in one place, for such a low price. 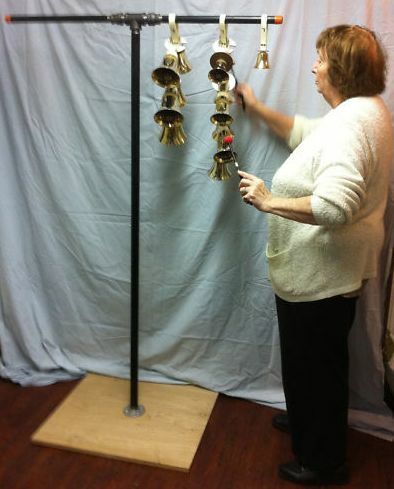 Other handbell training video's sell for $50.00. I wanted to keep the price very low so every handbell ringer can afford to own this Comprehensive document that you will refer to as long as you are ringing. I am a missionary serving in the country of Slovenia and am in the process of starting a handbell choir. I learned to play handbells in college and have played in many choirs and also directed handbell choirs. 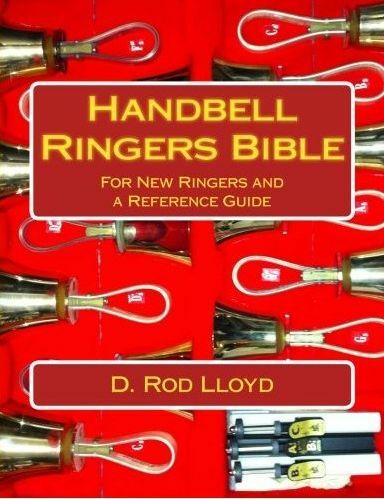 I recently received your book "Handbell Ringers Bible" and would like to use this to help my new ringers, since this instrument is completely new to people over here. I believe what you have put together is very useful in teaching new ringers and I would like to help them learn in a structured way, and to help them not develop bad habits. I have conducted orchestras all over the world but I never had to work with handbells. I have seen and heard handbell choirs though. Now, for a church project I need to work with a handbell choir. Thank you so much for everything you bring and for your love of the art. Thank you ever so much for sharing your knowledge and wisdom with those of us getting started with a handbell choir. There is real interest in our congregation. 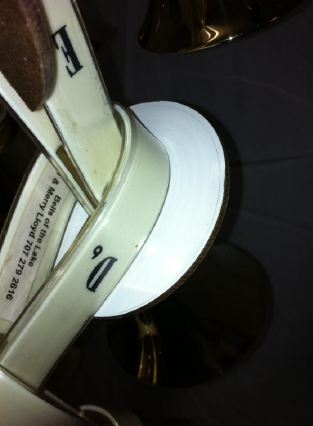 We are looking for a good secondhand 3 octave set of Schulmerich handbells. If you are aware of any such for sale I'd appreciate knowing. Once I have everything in place, I'll contact you again re. making more copies of the Handbell Ringers Bible. Thanks again for the resource and your help. I appreciate your videos, as someone who has not played , actually directed in years, I needed a quick brush up. Your videos were the absolute answer. You obviously do not know me so if I may I just would like to give you a brief background. I am a concert organist and pianist, classical music; I have accompanied several soloist from the Metropolitan Opera/NYC, played too many plays to remember; am a studio/session player for rock/jazz/pop, and last and not least, am the director of music/organist/pianist/choir director/chief cook and bottle washer for a church, a position I have held at several church's since I was 10, dating back to1967. In other words i have been around, and am very impressed by your collection of videos, they should be marketed and you should be compensated for such exemplary work. Thank you for your outstanding contribution to not just Handbells, but the music community as a whole. Please feel free to contact me if ever I can return the favor. I greatly appreciate this posting. It (along with your others) was very helpful in my efforts to learn to conduct a handbell choir without ever having been a ringer. I have been a Director of Music for over twenty years yet have never had the opportunity to learn how to play handbells much less teach a handbell choir. I am just about to start the wonderful online course that you have created. Thank you so much for doing this! Could you please tell me how I could order that book titled "Handbells Ringers Bible"? I have a music doctorate in pipe organ major, piano minor, concentration in both vocal and orchestral conducting. I am hoping that learning this new task won't be too difficult. I am thinking about the possibility of beginning a handbell choir on my next church job. Thank you so very much for sending me a copy of your Handbell Ringers Bible. I just printed it down and will get my 3 hole punch out and put it into a new binder. I am totally amazed by the amount of work you have put into this reference guide. I am proud to be a Christian and a member of St Paul’s Lutheran Church in Hastings Nebraska. Our church is blessed with I believe with 3 octaves of both handbells and chimes. We have everything we need, however this year we are struggling with choir attendance. Everyone seems to be so very busy. I was raised by a mother with lots of love and talent of music. I believe I have always sang in the choir, played piano and the clarinet in high school. I ordered your guide because I am having trouble with timing. I think part of it is if I am not sure, I am reluctant to ring my bell very loud. Last year I was playing the base clef and this year I am playing the upper G clef. We almost always carry the melody, so I know if I make a mistake it will easily be notice. I am excited to start studying this guide and learn the difference from reading bell music and piano music. I intend to save your name and email address and keep it so I can keep you posted on how well I am improving. I was somewhat just dropped into the choir and given my music and assigned my notes. I have been reluctant to ask too many questions because our director plays the bells very well, however when I have questions about some of the markings, I have caught her off guard realizing that she did not know either. We are working on our Thanksgiving and Christmas music so getting this guide is a gift we can truly use. Well, I just wanted to let you know all 84 pages printed perfectly. You do not need to worry, I do not intend to make additional copies and sharing them. I am a school psychologist and can truly see and value the amount of time and effort you have put into this. I have watched several of your videos before I found out I could order your book. You have already been somewhat of a mentor to me, since I had watched so many of your U-Tube videos. Thank you so much for everything that you do for free on the internet. I will drop you a line and let you know how I am doing. I am not a spring chicken any more, I turn 64 this month and reluctantly I admit, I do not learn nor retain information like I used to.